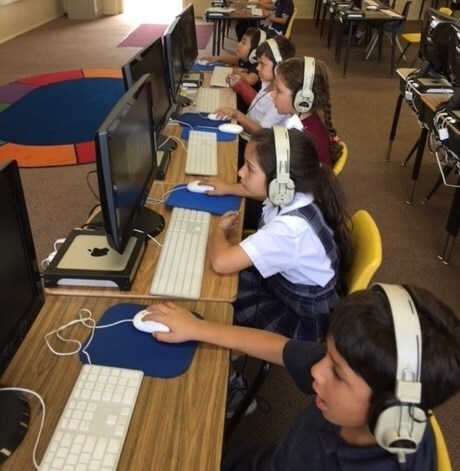 Computer classes are offered for grades Kindergarten through 8th grade. Our Computer Lab is able to accommodate a full class of students. It has 35 Mac computers with Microsoft Office installed in them. The lab also has a Smart Board like most classrooms. In addition, we use Chromebooks and each classroom has been equipped with 10 iPads. Kindergarten and 1st Grade come in 3 days a week, 30 minutes per group, and do a reading program. It is a innovative program that uses computers and technology to improve reading and writing. It is used in addition to the classroom reading series. 2nd and 3rd grade classes come in once a week for 1 hour. They learn good typing habits, how to do a presentation and use PowerPoint, Microsoft Word and Excel. In addition, they are learning to code and have a digital citizenship curriculum. 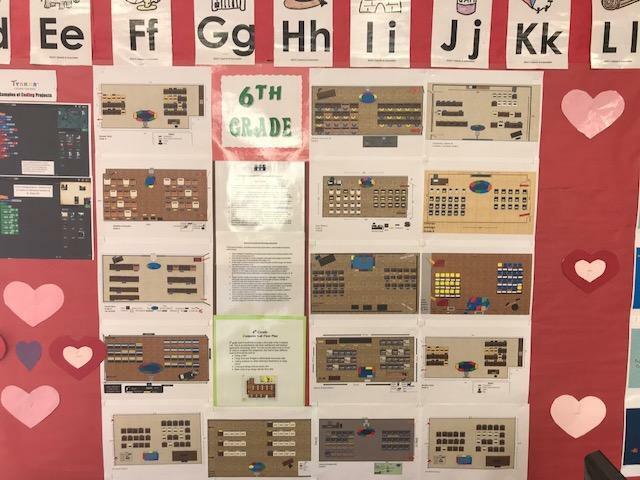 4th through 8th grade classes come in once a week for 1 hour. 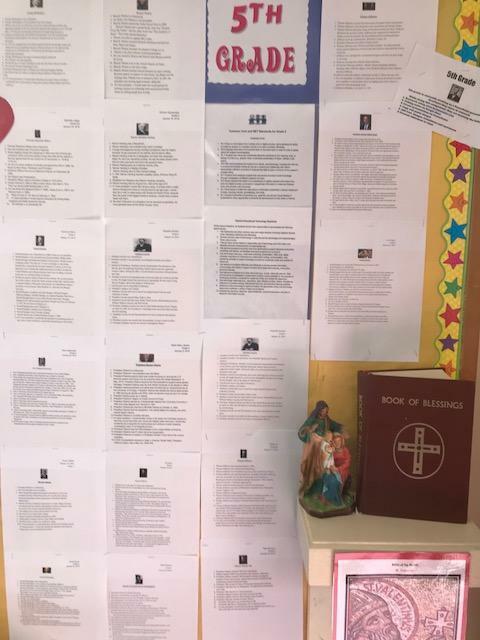 These classes use G-Suite and Google Classroom. 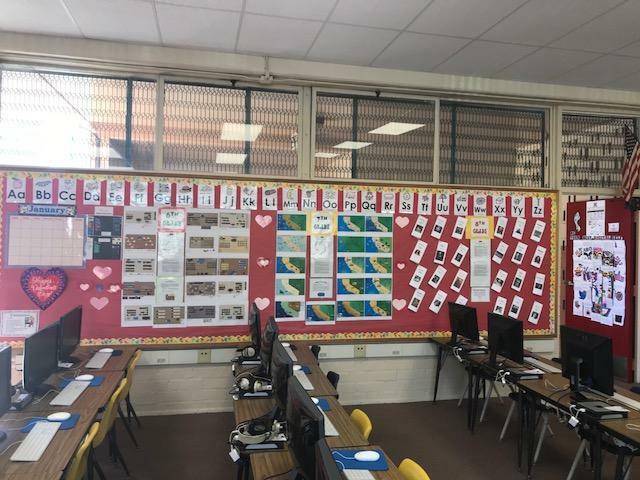 They use various G-Suite programs such as Google Docs, Maps, Slides and Forms to create things like brochures, maps, slide presentations an to take quizzes. They also learn how to make and use graphs, formula’s, and other details on Excel. 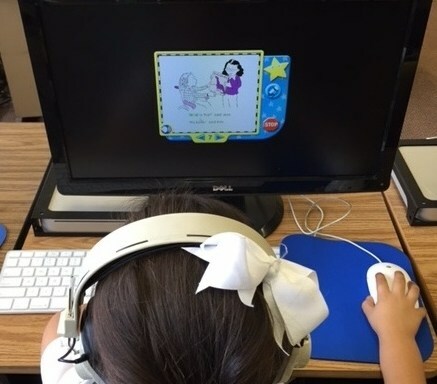 They work on improving typing habits and have detailed PowerPoint presentations or projects. The 8th grade class has an end of the year iMovie group project that they complete and present at their 8th grade graduation dinner. 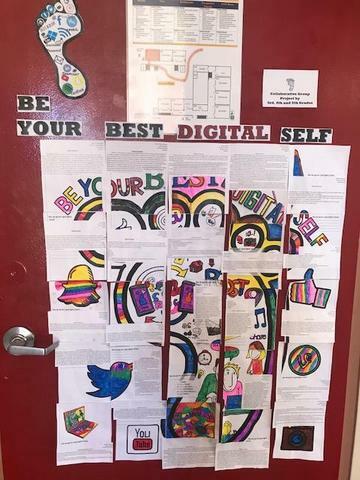 In addition, all grades are learning how to code and have a digital citizenship curriculum. 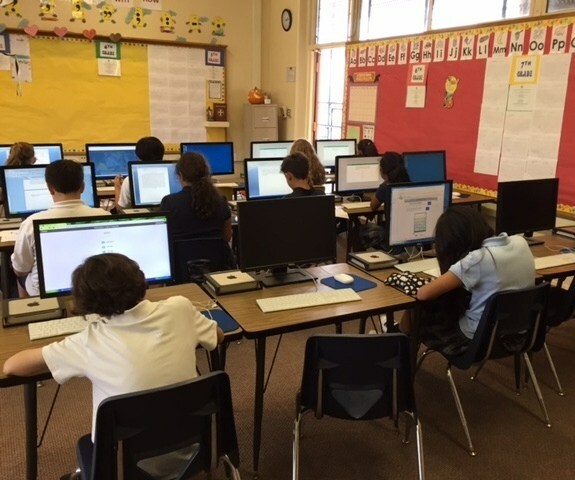 STAR testing is also done in the computer lab for grades K-8.